A home isn’t complete without art. It’s what adds soul and personality to a space. There are so many ways to curate a stunning collection. One way is to keep things monochromatic. 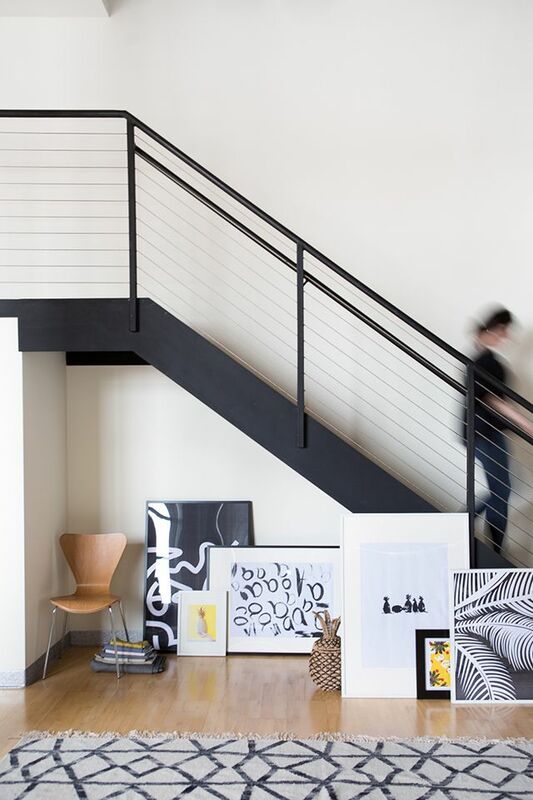 A collection of black and white paintings, photography or illustrations can add a dramatic touch to a modern space. Something as simple as lining a few oversized black and white pieces on the floor can make quite an impact. Think about using alcoves and unused space to style your art collection. 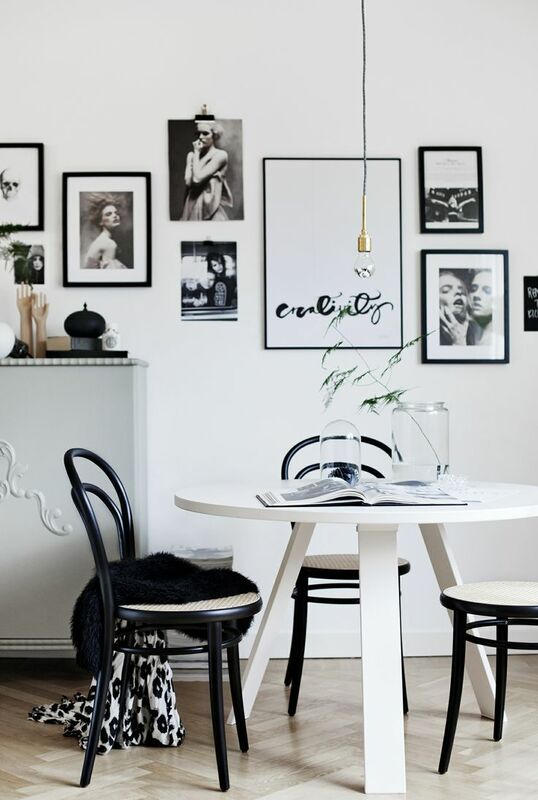 Place large pieces in simple black and white frames. Think about matting the smaller pieces for a special gallery feel. The great thing about black and white art is that you can mix different mediums and styles, unifying them with a sophisticated color palette. Here, modern photography and vintage images come together seamlessly through a unified palette and simple birch frames. A black and white art collection is classic, and the pieces of art stand out as such. On that note, everything does not have to be framed and formal. Here, a few pieces are hung using clips and tape, adding an organic, collected feel. With black and white collections don’t be afraid to think outside of the box. Mix photos, illustrations, even typographic prints. The color palette will marry all the pieces, and the more distinct the pieces are, the more interesting the collection becomes.